Construction site workers are a hard-working bunch with considerable physical demands placed on their bodies throughout the day. Construction sites are a place of noise, dust, and a lot of air pollution. In the past, they were also associated with one of the most pernicious problems of modern living: junk food. The traditional construction site had a burger van, and maybe a sandwich van or similar. 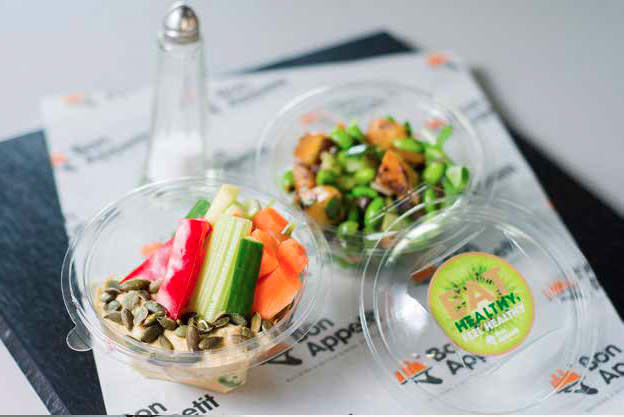 Large construction sites have hundreds of workers in all types of trades on site, so being able to provide a good catering service that provides quality fresh food daily is important. When you run your own catering company, having the right staff can be essential. Many companies, starting out as small businesses, find that they need to employ more staff in order to meet increased demand and popularity. Working in a trade means that you always need to be in good health and that you can manage a full day's work without feeling tired or suffering from aches and pains. If you are operating a business in the UK, then you are obliged to take care of your workers and your customers by providing safe working conditions for anyone who might come into your business. Bon Appetit was proud to be able to celebrate St Patrick's Day 2015 with Berkeley Homes, Goodman’s Field’s project in Aldgate. To mark the day the celebrations included an Irish twist to the menu of boiled bacon and cabbage being available for breakfast followed by Irish stew served with col cannon for lunch. The meal was a hit with the crew who appreciated the extra effort we took to help with the celebrations. 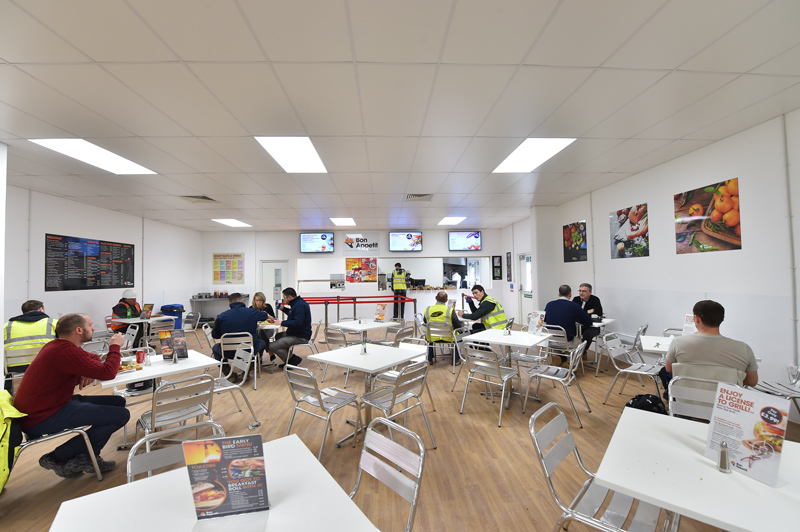 Large-scale catering for building companies on building sites is a specialised business. 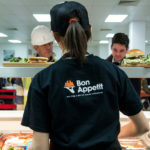 To be able to cope with catering on such a large scale you need to have systems and a team of staff in place who know what they are doing. 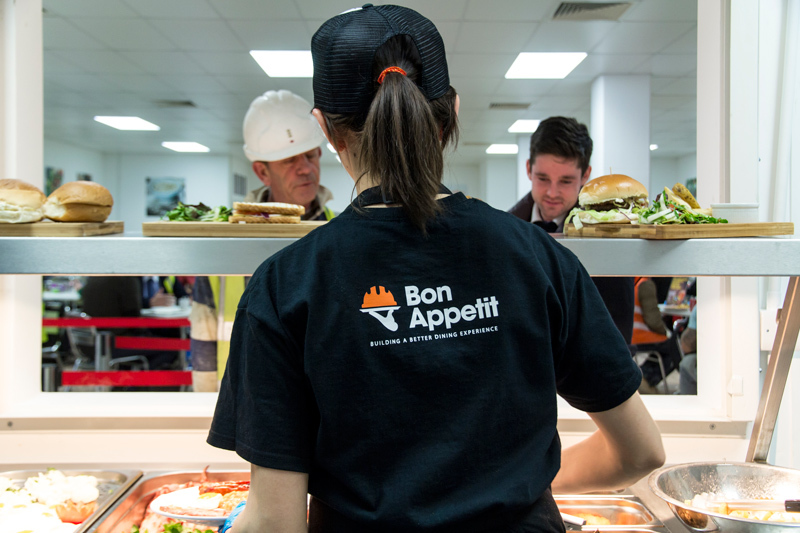 Bon Appetit Caterers provide a catering service to the construction site industry in the UK. 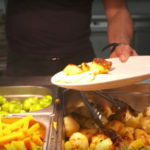 Whether its two hundred people or a thousand we provide good quality catering for site workers. 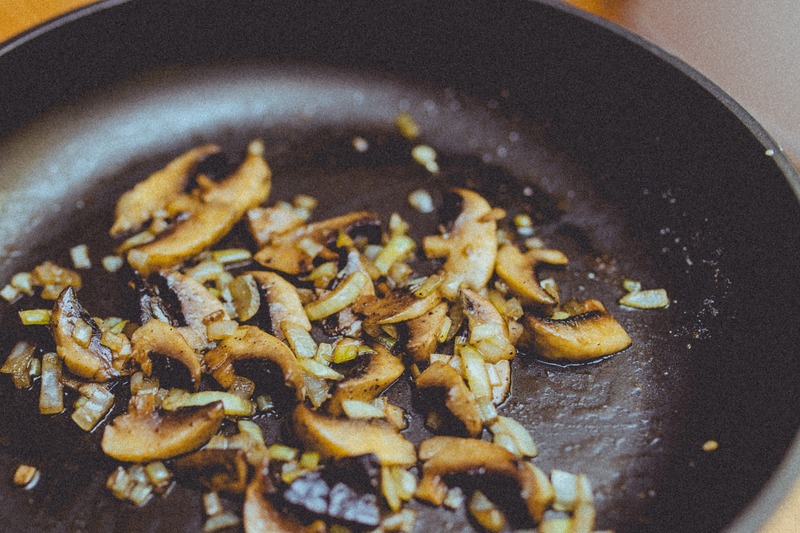 Sourcing food produced locally has become increasingly popular with chefs and food experts, and most people now expect their local restaurant, deli and caterers to offer a range of dishes featuring locally sourced food.